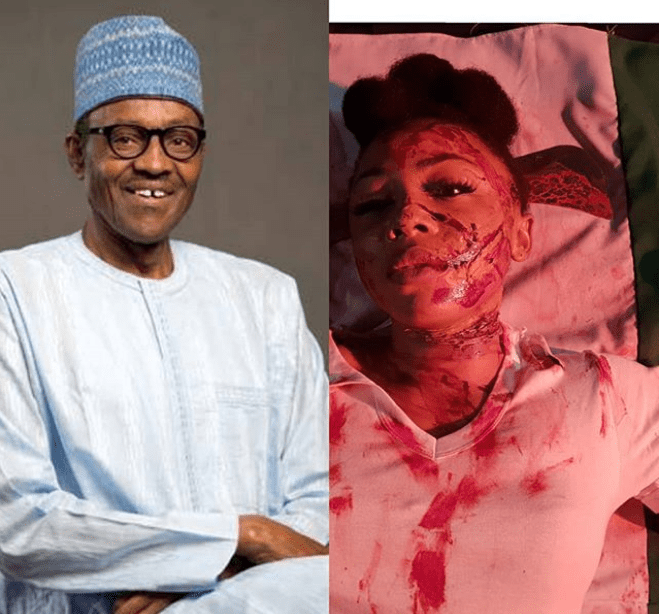 In the wake of the recent killings in Plateau state and around Nigeria by suspected herdsmen, ex-Big Brother Naija housemate, Ifu Ennada has written a lengthy message to President Muhammadu Buhari in a very bloody dramatisation. My name is Ifu Ennada and I could be a victim. — Divided we fall but united we stand! Let’s do this for Naija! Thanks to @niyi_akinmolayan for this movement.